When is good enough good enough? I won’t lie, I didn’t take a picture this week in my usual outfit. 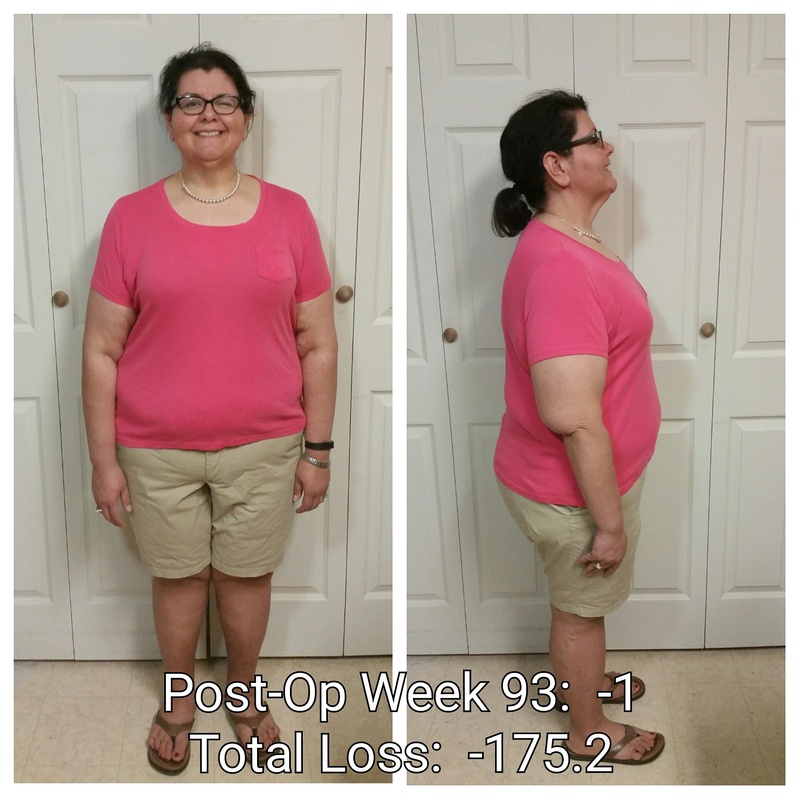 I am also up this week. Way up. I know what I did–grazed, and ate way more than I should have. I’ll pick up again next week and take care of business. Next week will be better. It has to be. I did decide this week to continue on with more vegetables and fruits since I like the way I feel when I eat them. So today I had calabacitas (zucchini, corn and garlic cooked in a chicken broth with a little cheese), grapes, a mandarin orange, a green salad with strawberries and almonds, and some hummus on red leaf lettuce. Tomorrow I’m having almost the same stuff, just adding carrot chips to the mix. Saturday night, my school had its senior prom. I’d chaperoned it before, and decided that I would do it again. The group of seniors that I teach this year and I are pretty close. I adore all of them, even the difficult ones, and so I wanted to share this milestone with them. Not gonna lie, I was stylin’. 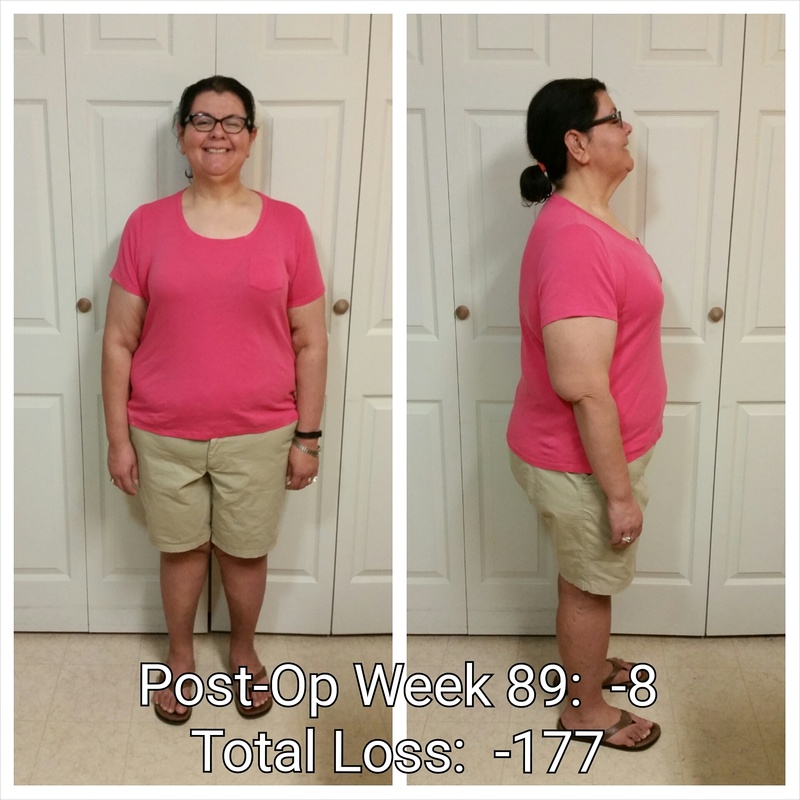 Posted in frustrated fat, head trips, la guerra, post-op, post-op life, progreso, progress report, reflections, self-image, the little things, the sleeve, vsg, weight loss surgery, werk! Plodding along this week. I ate more veggies this week, and liked how I felt afterward so I decided to go veggie heavy this week. I think the extra fiber will also be good for me–hell, I know it will be. I’m learning to listen more to what my body feels like having, and this week it really wanted more veggies. Funerals are a hell of a way to start a week. Mourning + ovulation + work stress + general IDGAFery = up this week. Thankfully, this week does not look to be terribly stressful, especially as side projects wind down and I can finally get back to the business of taking care of myself the way I deserve to. This just keeping my head above water business isn’t cutting it, and I’m tired of just getting by. That’s what it feels like I’ve done this year so far. I deserve so much more than just getting by. I don’t “just get by” in other areas of my life, so why when it comes to me is it acceptable? 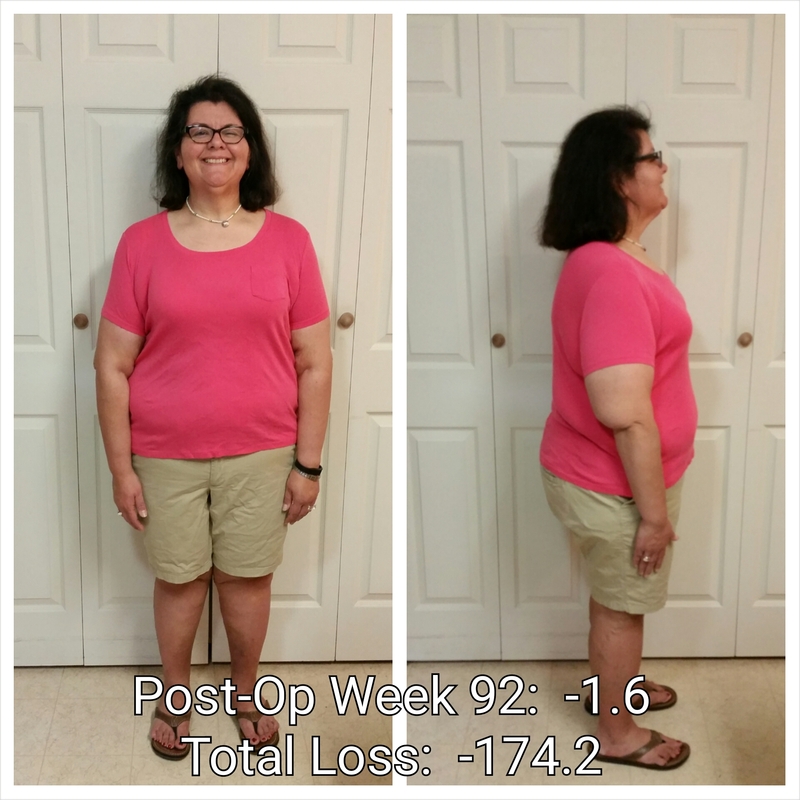 Posted in challenges, exercise, frustrated fat, goals, la guerra, oh behave!, planning, post-op, post-op life, progreso, progress report, reflections, self-image, the body is a funny thing, the sleeve, vsg, weight loss surgery, werk! I’m late with this week’s post but life happens. I got notification earlier in the week that one of my cousins had passed away, and the funeral services were this weekend, finishing up today with the funeral Mass. So I’ve been a bit preoccupied as we had to travel to be with family, which was far more important than updating this thing. Well, the reset got me back down to my pre-Christmas weight, which is good. 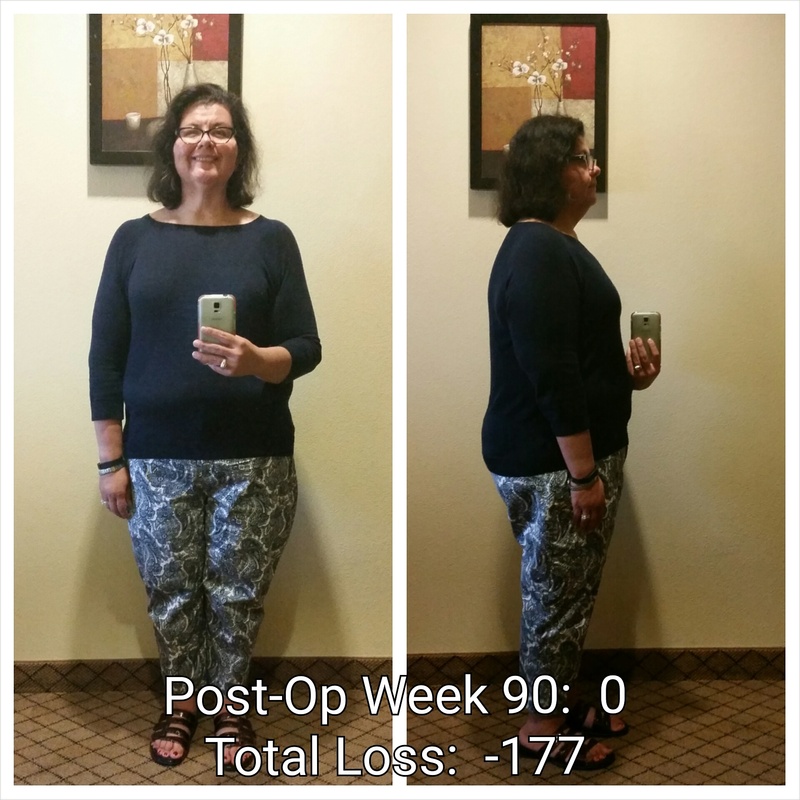 I had to relearn the things I learned during that pre-op period, which were tough. 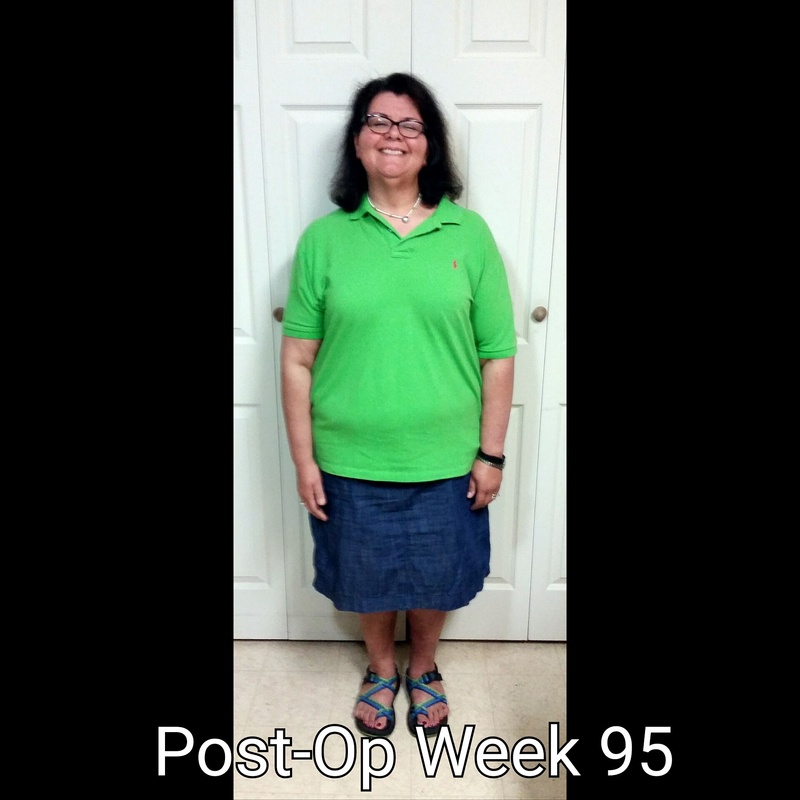 My doctor’s plan was very strict as pre-op plans go, so I knew the week was going to be hard. 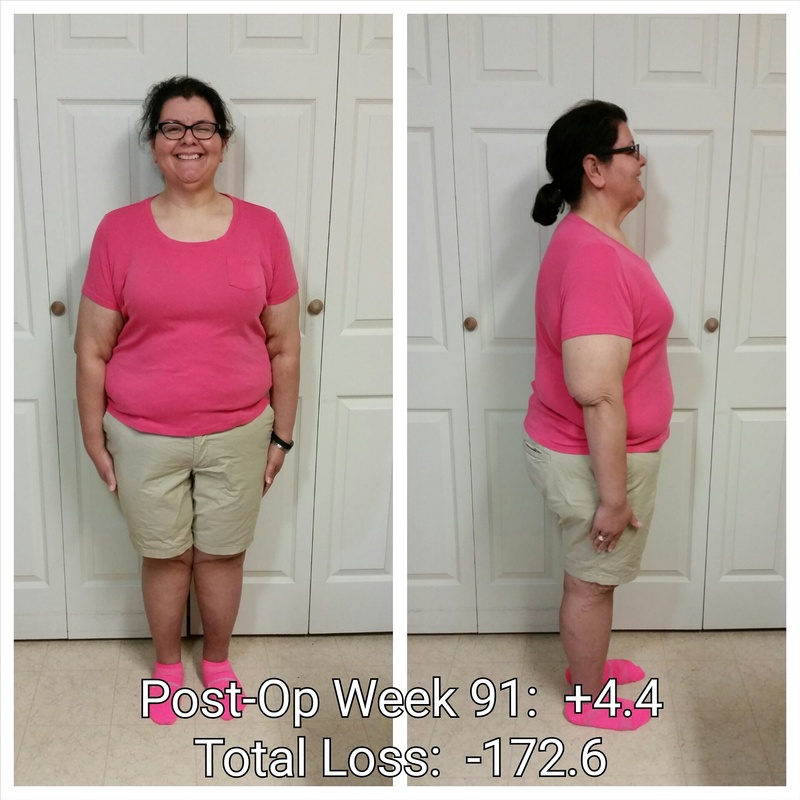 Posted in challenges, choices, dealing with regain, eating, frustrated fat, la guerra, oh behave!, planning, post-op life, progreso, progress report, reflections, the body is a funny thing, the sleeve, vsg, weight loss surgery, werk!